FEATURES: Forces of HORDES: Trollbloods Command is the first Force book for the new edition and provides the foundation every Trollbloods player needs. It features a complete listing of all current warlocks and warbeasts released to date, in addition to two new warlocks, a new gargantuan warbeast, and a selection of core units and solo from the Faction. TRADE POINTS: Forces of HORDES: Trollbloods Command is an essential book for all Trollbloods players both veteran and new. Offered in two formats, the hard cover versions are highly sought by serious collectors. 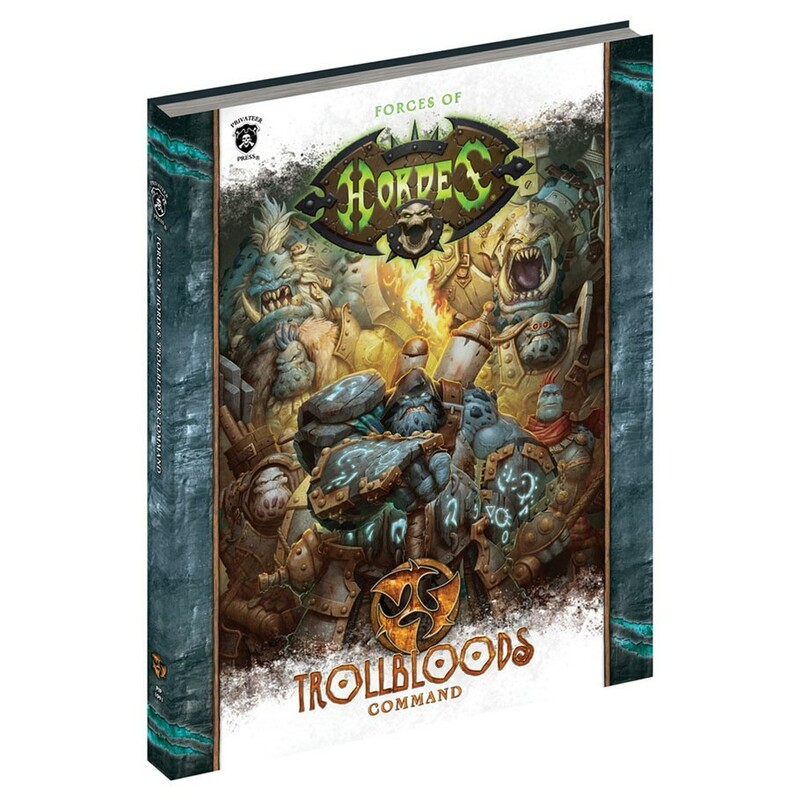 Be sure to order enough copies to meet demand of your current community as well as having additional stock for new acquisition, as Forces of HORDES: Trollbloods Command pairs perfectly with players purchasing a Trollbloods Battlegroup Box (PIP71099).